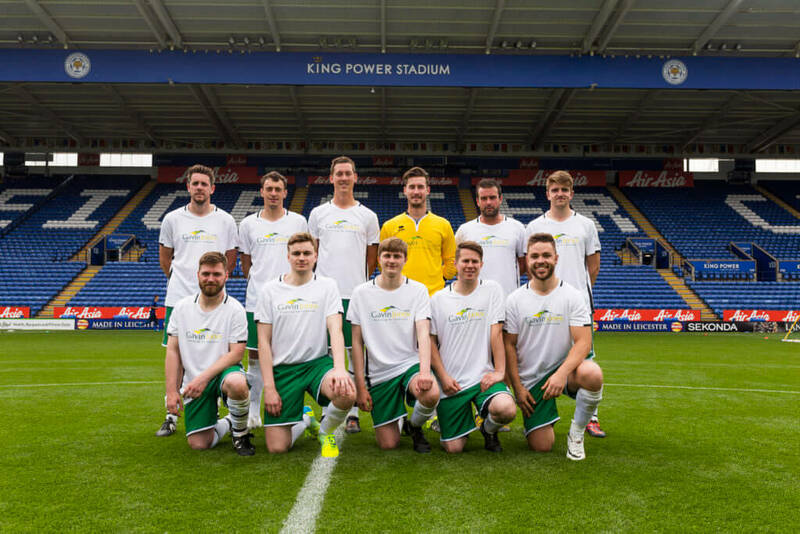 Gavin Jones were crowned #PlaythePitch Cup winners and Super Cup champions at Leicester City’s King Power Stadium on Tuesday in a nail biting penalty shoot-out. Sixteen teams from across the horticulture industry arrived at the home of the 2015-2016 Premier League champions bright and early for the Group Stages draw, which saw both teams from John O’Conner drawn in Group B! The top two teams from each group progressed to the Cup quarter finals, whilst the bottom two went through to the Plate competition. G J United and Team GIMA saw off JOC Team 1 and tournament sponsor ICL, respectively, to go through to the Cup final, which Gavin Jones won 4-1. The heroes of the plate competition were Ady’s All Blacks, a team cobbled together last minute by BBC Radio Leciester’s Ady Dayman, to fill a spot after a team unfortunately had to withdraw. Ady’s lads made it all the way to Plate final, after beating Ambience Grounds Maintenance in the semis. The final saw them pitched against Horti Stone FC (a team comprised of players from HortWeek and CED Stone), who saw off the IOG Allstars 2-1. The Plate final went to penalties, where goalkeeper Ady made a series of fantastic saves to send his team through 4-3. 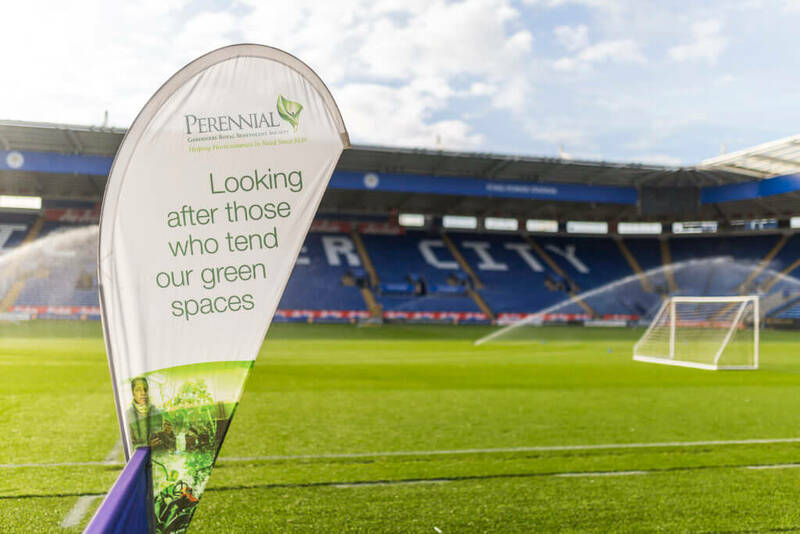 At the advice of Leicester City’s Grounds Manager John Ledwidge and the tournament officials, the tournament was revised slightly to prevent over tired legs risking injury and to give as many players as possible the chance to play on the full size pitch. This meant the Cup winners and Plate winners faced each other in a Super Cup final. Ady’s All Blacks put on another impressive performance but lost 4-2 in a thrilling penalty shoot-out to Gavin Jones. Topping off a fantastic day, Richard Bickler, from Arbour Landscape Solutions stepped between the posts for the Beat the Goalie competition, which saw Perennial’s new Chief Executive Peter Newman amongst those who stepped up to take a shot, before heading up to the Walkers Lounge to lead the speeches and trophy presentations. Many thanks to all who made the day possible: John Ledwidge and team; sponsors ICL, media partner LAPU; Ady Dayman and the tournament officials who volunteered their time. 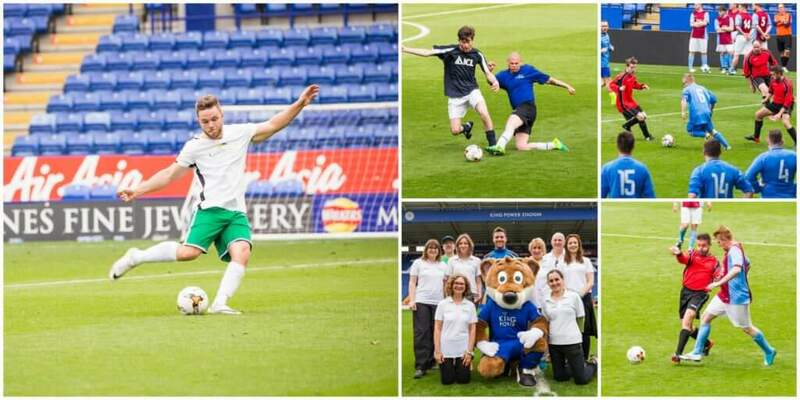 Most of all thank you to the #PlaythePitch teams who played in a such fantastic spirit and helped raised vital funds to support their colleagues.